“If you ever need to talk, I’m happy to listen.” It may sound like a simple offer, but it can have a profound impact on someone dealing with a mental health issue. Creating awareness and support for student mental health is the purpose of Thrive Week, a series of events and activities organized by Wilfrid Laurier University’s wellness education coordinators. Thrive Week runs from Jan. 27 until Feb. 1 at Laurier’s Waterloo campus and March 4 until March 8 at Laurier’s Brantford campus. Despite taking place at different times, Laurier’s Thrive weeks share the same goal: building resiliency. Laurier’s Wellness Centre staff members have created mental health toolkits that will be available to all students. 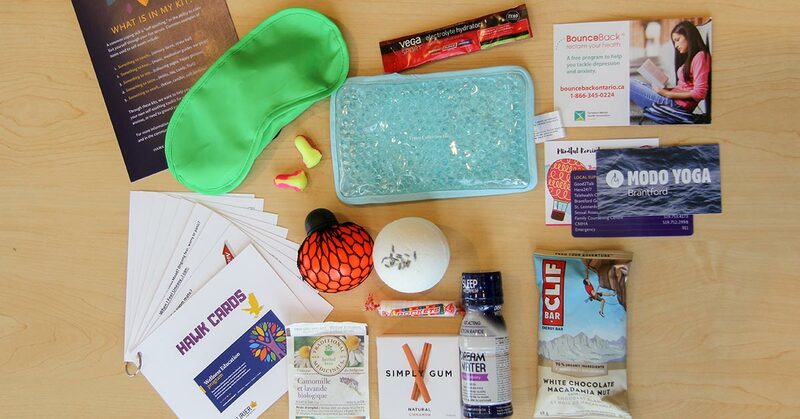 The free kits contain everyday items for students to use when stress or anxieties arise. Kits will be available throughout Thrive Week at Laurier’s Waterloo campus. Peer wellness educators will distribute kits on Jan. 30 at Laurier’s Brantford campus. Wednesday, Jan. 30 is Bell’s Let’s Talk Day, an annual event that invites Canadians to join the conversation about mental health and reduce stigmas associated with mental illness. Laurier students can take part during Connect Over Cocoa in the Waterloo campus Concourse between 1 p.m. and 3 p.m. Students can share their mental health experiences, suggest ideas to support student mental health or discuss mental health in general while enjoying a free cup of cocoa with Leanne Holland Brown, dean of students at the Waterloo campus, wellness centre staff and other Golden Hawks passionate about mental health advocacy. 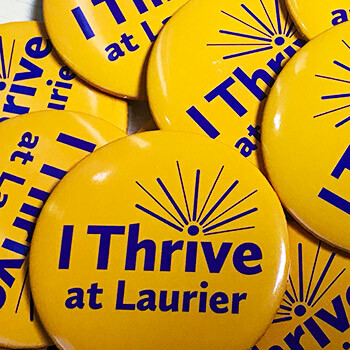 Check out the full list of Thrive Week activities and events happening on Laurier’s Waterloo campus, which are free and open to all students. Watch for updates about Thrive Week at Laurier’s Brantford campus on Facebook and Twitter.